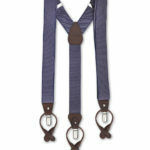 Elastic suspenders with very small pink rose pattern on a blue background. 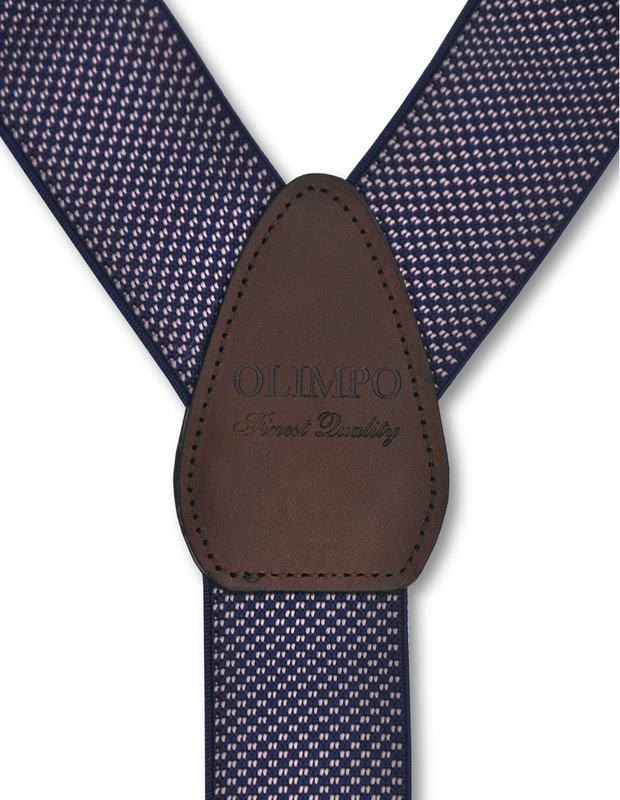 Leather ends, back leather patch is heat engraved with OLIMPO logo. 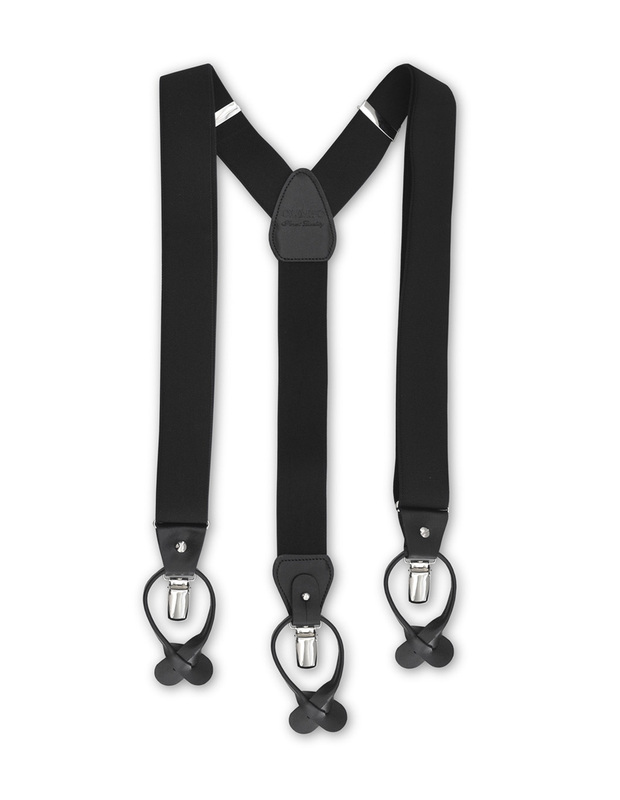 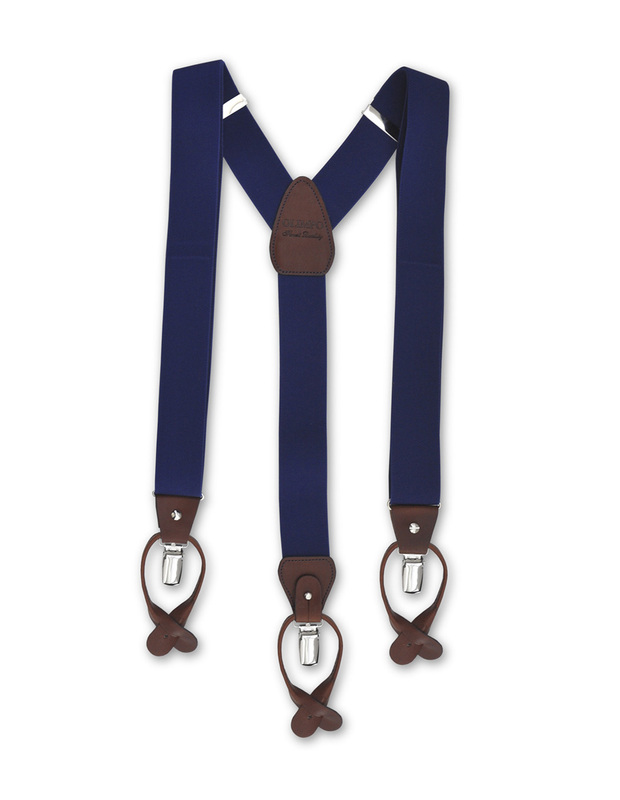 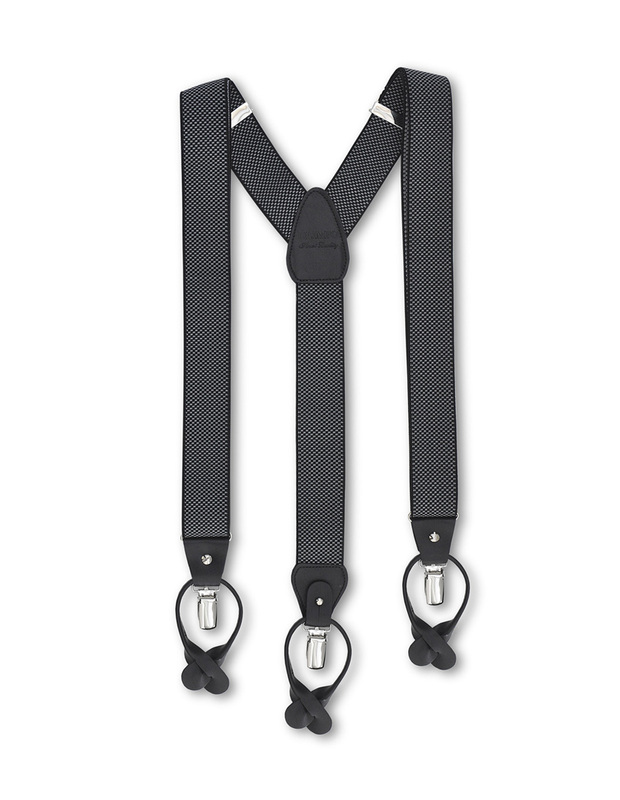 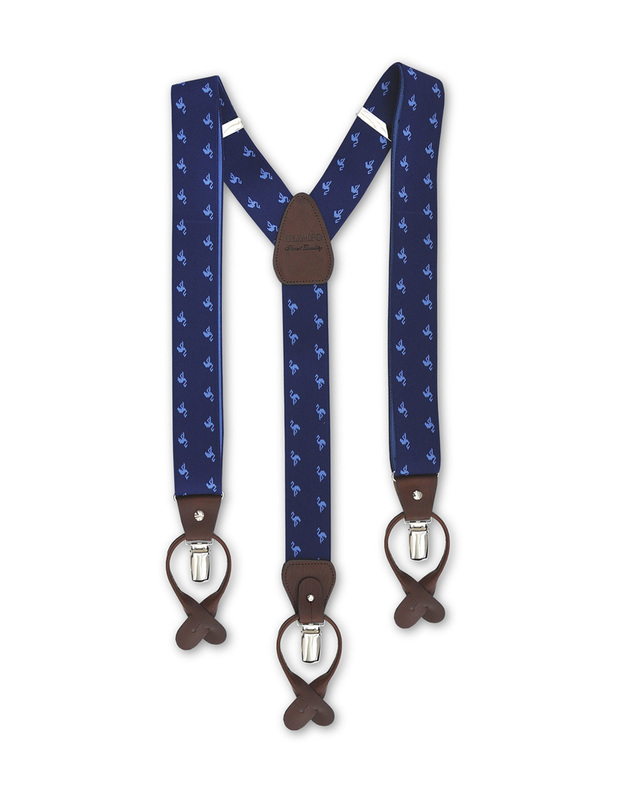 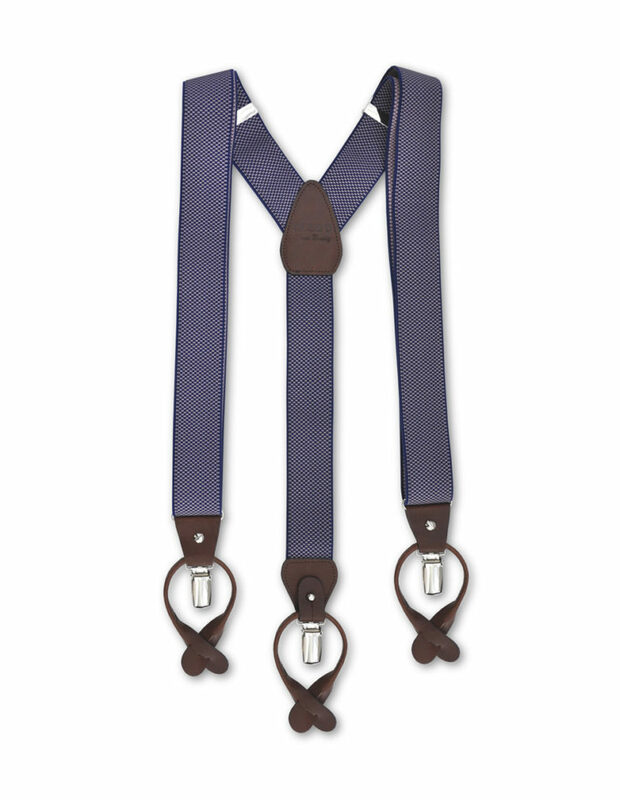 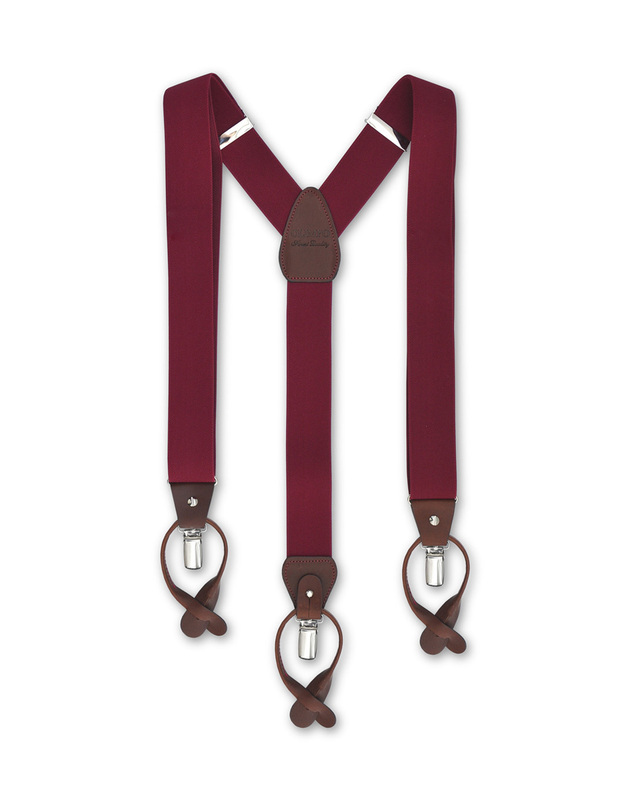 Add a touch of style with these tony suspenders, finished with genuine leather accents. 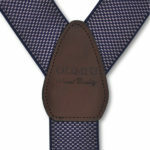 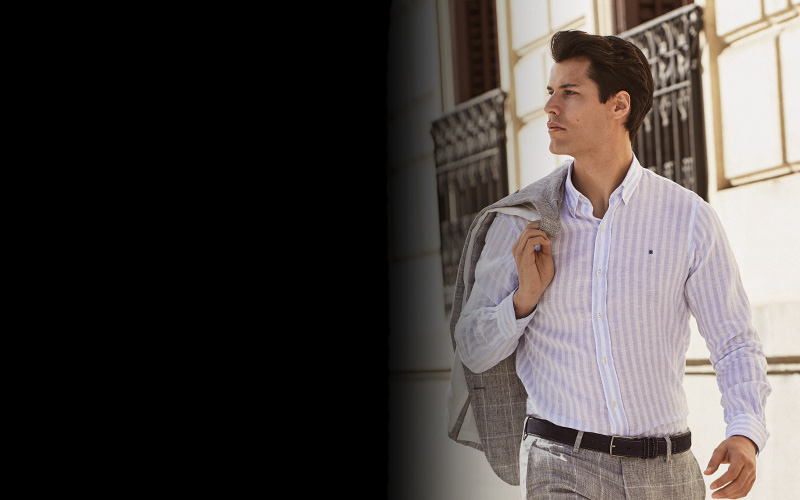 Combine with a blue and pink OLIMPO pocket square.